Want to master social media in 2019? Then you must stay on top of the latest social media tactics, which you could hear about at the Social Media Marketing World conference in San Diego. Social media is changing. Teens are moving away from it because their parents are using it, and there was a 21% drop in personal updates (2016) because users communicate more through memes and shared articles. What’s going to happen in the years to come? What do businesses need to remain relevant and vital? Everybody’s talking ABOUT chatbots, while more and more people are also talking to them. There’s so much hype about them, and businesses realize that they’ll need to invest in the technology, but also to go a step further. What is being overlooked is conversational marketing. For example, if you want to go online to buy quality clothing, you would like to talk to a Ralph Lauren simulation chatbot, wouldn’t you? 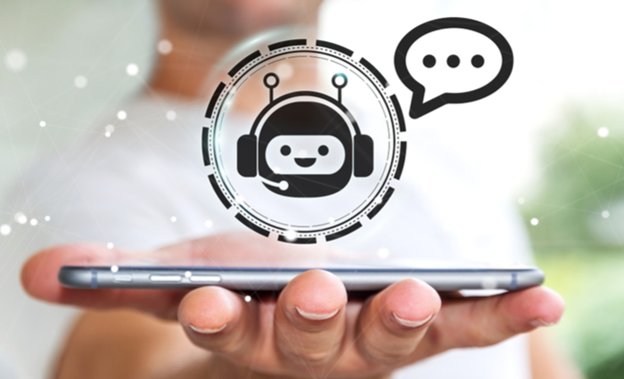 Chatbots can become our new entertainers and celebrities, driving the engagement of the audience while entertaining and captivating them. People are becoming less brand loyal. Technology drives these changes in consumer behavior, and they are shaking the very foundations of marketing. For example, consumers value brands that contribute to the community and run a sustainable business by hand-making their products. That can be a huge indicator of where social media marketing is going. People trust other people and their stories rather than advertising impressions. Artificial Intelligence (AI) is the concept that creates tons of buzz in the last few years. And it will impact our careers in countless ways, starting with the fact that AI will be applied to our everyday tasks. It will slowly sneak into our lives, making our lives more integrated, more accurate, and faster. Brands will differentiate themselves by the way they use AI for improving their customer experiences. There is a considerable gap when it comes to marketing skills. On the one hand, CMOs can’t find enough marketing staff to fulfill their marketing plans. On the other hand, there are so many unemployed marketers looking for jobs. However, these marketers don’t have the right digital skills. The skills that will be required in the years to come are data and analytics, digital advertising, and the ability to adjust and adapt to changes. Many leaders from inside and outside the marketing industry are calling for better regulations of tech giants. These companies have monopolistic tendencies which concern the citizens, as they can manipulate human behavior, health concerns, the privacy breaches, and perpetuate fake news (thus damaging democracy.) People don’t like the words “Internet” and “regulation” in the same sentence, but I believe that something must be and will be done about it. We keep our eyes open for the early signs of tech regulation. These are some of the most significant challenges that companies must withstand if they want to make social media work for their businesses. You will need to be superior and continuously re-invent. You will need to humanize your social media marketing strategy to get your customers to trust you. Eventually, you will need to realize that this chaotic landscape can’t be avoided. Embrace it and learn how to adapt and enjoy the ride because social media platforms are changing too quickly. There are so many innovating entrepreneurs out there that are leading the way towards a different, brighter future. We at the Financial Policy Council are here to illuminate the opportunities and formulate and promote activities based on the principles of wealth creation and free enterprise.